The Clery Act requires the distribution of an annual security and fire safety report to disclose campus crime statistics and provide security information to all current faculty, staff, and students, and notice of its availability to prospective students, faculty, and staff. 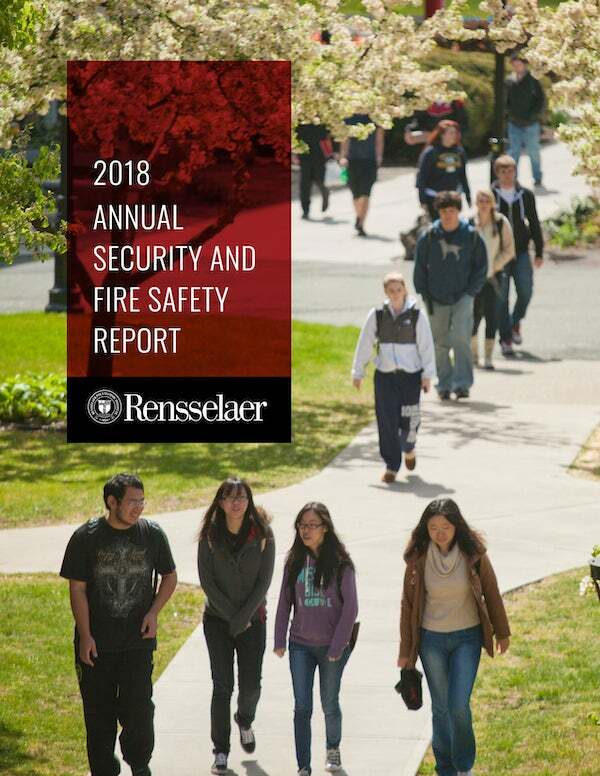 The Rensselaer Annual Security and Fire Safety Report 2018, prepared by the Department of Public Safety, includes statistics for the previous three years concerning reported crimes that occurred on campus, in certain off-campus buildings or property owned or controlled by the Institute, and on public property within or immediately adjacent to and accessible from the campus. This report includes all crimes reported to the Department of Public Safety, supplemented by local police, the Dean of Students Office or from a campus security authority, regardless of the ultimate disposition of the reported crime. The report also includes institutional policies related to campus security, including but limited to security and access to campus facilities, law enforcement and jurisdiction; maintaining and reporting of criminal activity, voluntary confidential reporting, comprehensive emergency management plan, emergency notification and evacuation procedures; timely warning crime reports, crime prevention and awareness programs; drug, alcohol and substance abuse programs; sexual assaults, dating violence, domestic violence and stalking; missing students and campus fire safety report.